Train at new ECKA Headquarters! 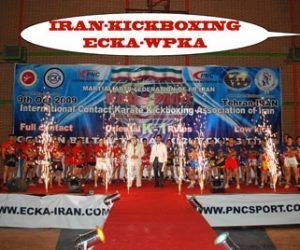 There is a opportunity to train with the Senior ECKA Instructors at the new ECKA Headquarters and Sensei Dev’s do-jo on the 4th February 2012! After months of renovation, Sensei Dev has moved his club into his new do-jo. On the 12th November, Sensei Dev Barrett, ECKA Chief Instructor announced the winners of the 2011 Grand Prix. ECKA Instructor, Sensei Mark Cullinane was awarded his 4th Dan Black belt and Lester Cowan was awarded his B Class referee status at the ECKA National Championships, on the 30th July 2011! Results now available from the ECKA Hereford Open. ECKA Instructor Coach (Sensei Hopeton Harmitt) has been nominated for the BBC Midlands Sports Unsung Hero award 2010.